Let's talk about the 401k. If you're like most Americans, you've been conditioned to believe that the 401k is the best retirement plan around—the end all be all. Chances are, you've seen advertisements for companies like Fidelity and Merrill Lynch that aim to convince you that your retirement will be rosy if you just contribute a small chunk from every paycheck to your 401k. This is a blatant lie, and the sad thing is that most people believe it! They spend the majority of their lives contributing to a 401k with the false promise that maybe someday they might be able to enjoy their lives. Here's what's really going on: those big companies make a lot of money off of your plan. This is why they're running commercials. Not to line your pockets, but theirs. Furthermore, this is one of the reasons why a 401k is not the best way to build wealth. Did you know that the average 401k at retirement is only $90,000? I don't know about you, but I don't think I could live on $90,000 for the rest of my life. Am I saying you should ditch your 401k completely? No. I realize the 401k does have some benefits. In fact, when I had an employer sponsored plan, I used it to create my own financial freedom. But if you've been led to believe that the 401k is the ultimate retirement plan, you've been lied to. 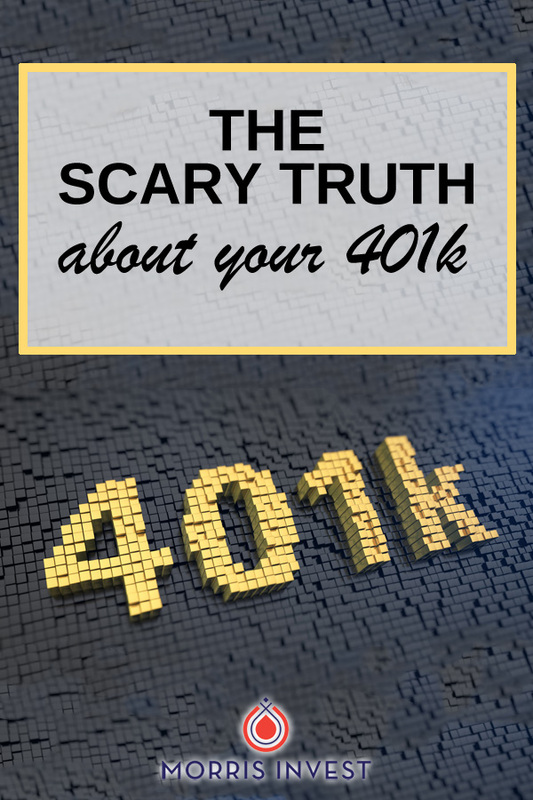 If you've been told you should under no circumstances touch your 401k, you've been lied to. That's what makes my blood boil: innocent people being taken advantage of. If you're thinking, "But Clayton, everyone knows it's important to diversify your portfolio," I challenge you to think about that message too. I'm sure your financial advisor is a perfectly nice person, but he or she has probably recommended you diversify by investing in stocks, bonds, or annuities. Why? Because he or she receives a commission-based wage. This isn't some conspiracy theory, it's a fact. Check out my interview with financial advisor Brent Sutherland. So if retirement companies and financial advisors don't have your best interest at heart, who is going to be your advocate in creating financial freedom and planning for retirement? You are. Go out there and take personal responsibility for your wealth building, because no one else is going to do it for you. Read Rich Dad Poor Dad, subscribe to my podcast, and start to challenge every message you've ever been told about retirement. Panic! Don't Borrow from Your 401k!